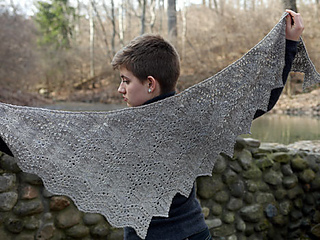 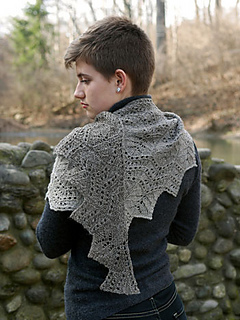 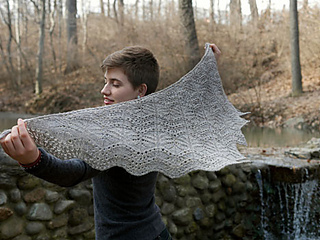 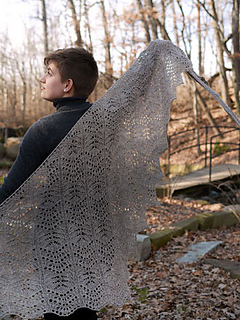 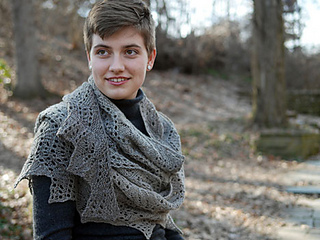 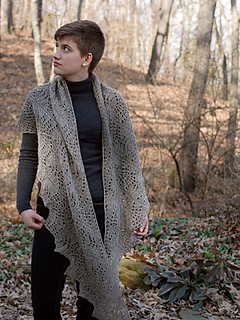 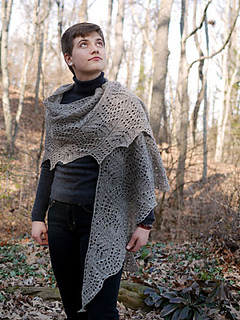 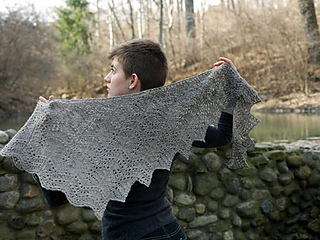 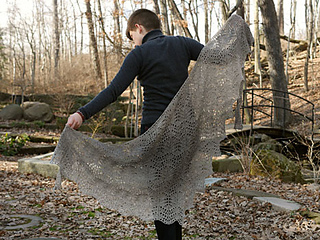 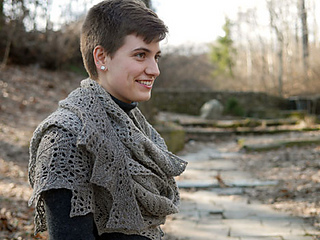 This cozy, asymmetric lace shawl in two sizes (petite/tall) is worked side to side in alternating bands of textured openwork patterns to take advantage of a yarn with subtle shifts in shading. 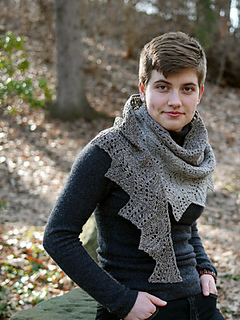 By increasing aggressively on one side of the piece while binding off a bit at the end of each section on the opposite side, a jagged crescent shape emerges. 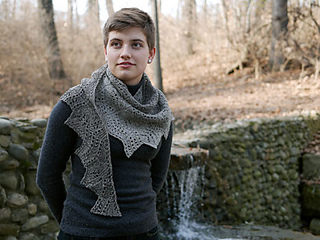 The ending bind off makes the most of a wavy stitch pattern to form a scalloped edge along one side; the bound off sts on the lower edge form attractive points. 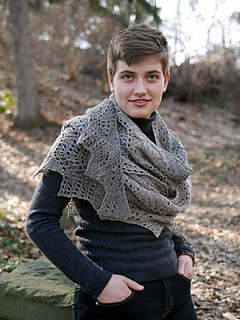 This design could easily be worked in gradient or color block stripes by changing yarn shades at the start of each pattern band. 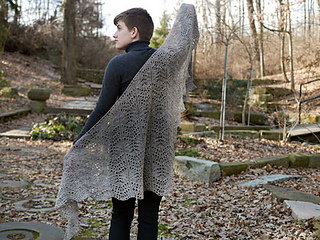 Shawl samples shown in Bare Naked Wools Smoothie, a slow fade gradient in naturals shades; click here to view.